Used machinery for the corrugated board industry. Used rotary die cutters for corrugated board industry. 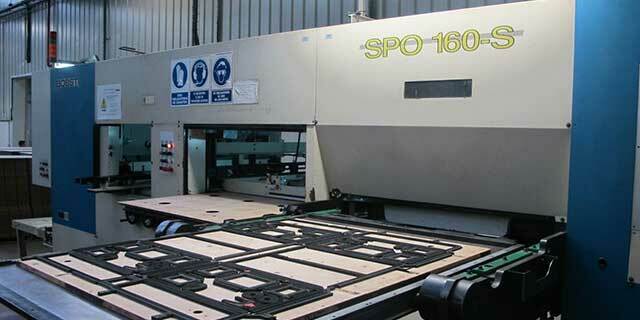 Used flat bed die cutters for corrugated board industry. Used slitters scorers for corrugated board industry. S.I.I.E. is a private company established in Barcelona, with 20 years of experience, specialized in the sale of new and used equipment for the corrugated board industry. Our company acts all over the world , supplying all type of machines around the world, giving full service, of dismantling and reinstallation of machines. The company has also agencies of new machinery manufactured in Taiwan, Italy, France and China. We found what you need, we sell what you don’t need. Don’t dubt in contact us if you need more information about our available corrugated machinery. You cam comtact us by phone calling to this number (+34) 93 594 62 17 or make another consult by our contact form. Also you can get a quote. Be updated — Subscribe to our newsletter.